Hundreds of citizens packed a pair of public meetings in West Mobile last week as part of a grassroots effort to find solutions to the area’s lack of designated fire protection. 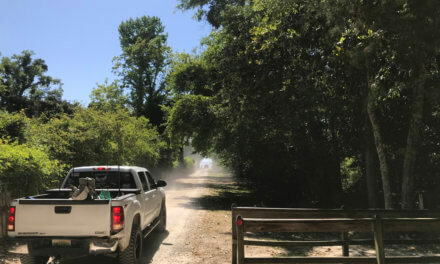 As Mobile has continued to roll back the fire and emergency medical services the Mobile Fire Rescue Department has historically provided in the three-mile police jurisdiction outside city limits, one area is facing the possibility of having no fire protection at all. 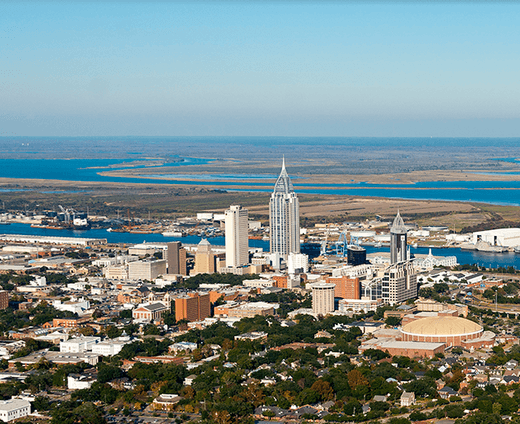 According to Public Safety Director James Barber, growth outside Mobile’s corporate limits has made continuing service to the area unsustainable. The law only requires the city to provide services in the police jurisdiction equal to the amount of revenue it earns from business license fees in the area. According to city spokeswoman Laura Byrne, that amounts to around $2 million per year, while the city spends more than $26 million to deliver services there annually. Mobile does bring other revenues from residents living in its police jurisdiction, though. Byrne said the city collects more than $12 million on average from sales, lodging, gas, tobacco and other taxes in the area. Due to the strain on resources, the city has been gradually rolling back fire and emergency medical services over the past two years as other agencies, including Mobile County Emergency Medical Service and the Theodore Volunteer Fire Department, have been able to take over. However, unlike other rural areas in the county, the area in West Mobile never established as a standalone fire district. It runs west from the city limits past McFarland Road and south from Airport Boulevard to West Lake Road and includes about 9,000 residences that — at least on paper — could soon not have any designated fire service agency. With that said, Mobile hasn’t put a firm date on when it would pull back fire coverage in the area, and Barber said officials are committed to providing service until the issue is resolved. “Nobody is at risk of a 911 call ever going unanswered,” he added. Mobile County Commissioner Jerry Carl organized the recent meetings in hopes of getting citizens involved to evaluate their options. Currently, those options include forming a standalone fire district, forming a new city or annexing into the city of Mobile. Carl initially proposed a fourth option of being absorbed into the Seven Hills Fire District, but due to a breakdown in communication, the department has since said that is a burden it’s currently unable to bear. In fact, until the meeting on Jan. 15, Seven Hills appeared to be under the impression the area in question had about 4,500 fewer homes than it does. The volunteer department already serves 11,000 homes. Of the remaining options, the most polarizing seems to be the possibility of annexing into Mobile. At the meeting, some residents expressed wariness of annexation because of the area’s history with the city government. 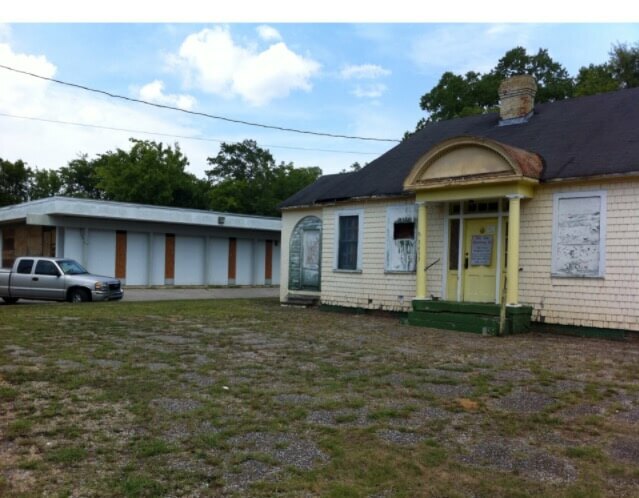 In 2007, the Mobile City Council pushed for a referendum vote on annexing a swath of commercial properties in the area of Schillinger Road and Airport Boulevard. It passed, but many have viewed the move as a “cash grab” that took in businesses but drew lines around residential areas. Lagniappe asked the city how much it collects in sales taxes from the area, but was told it would be difficult to break out what is collected from a specific geographical area. Based on an internet review, the area — which encompasses large retail centers and car dealerships — has at least 71 businesses generating sales taxes for the city of Mobile. That 2007 annexation still appears to be a sore subject for some in West Mobile. One man at the meeting said without that potential tax base, the area couldn’t form its own city if the residents wanted to. He suggested that annexing into the city might be the only way residents in West Mobile get a say in how their money is spent downtown. Some applauded those comments, but there seemed to be equal support for those who spoke against annexation over concerns about increased taxes and regulations. Others said they don’t believe the city of Mobile is accountable for the money it already collects. Even if residents voted in favor of annexation, the city council would have to approve it, which would take at least five votes. That could turn into a separate political issue of its own, as councilors who’ve spoken to Lagniappe about the prospect have had mixed reactions. One resident said he’s doubtful the council would approve any proposed annexation and noted that no city council members attended the meeting. The third option, creating a fire district, might be the least complicated in terms of organization, but it has its own downsides. Residents would have to vote on a service fee to fund the district, which — based on other areas in the county — could range anywhere from $70 to $120 per year. The newly appointed board of the fire district would then have to decide how to spend that money. Most districts have a volunteer fire department and use their money to invest in infrastructure, equipment and training. However, shifting to a volunteer department from a full-time paid department would almost certainly cause the ISO rating in the area to increase, which could result in higher insurance premiums. Some smaller fire districts use their funding to contract services from nearby cities, but at this point officials in Mobile haven’t said whether they would be open to that. It’s also unclear what it might cost if they were.